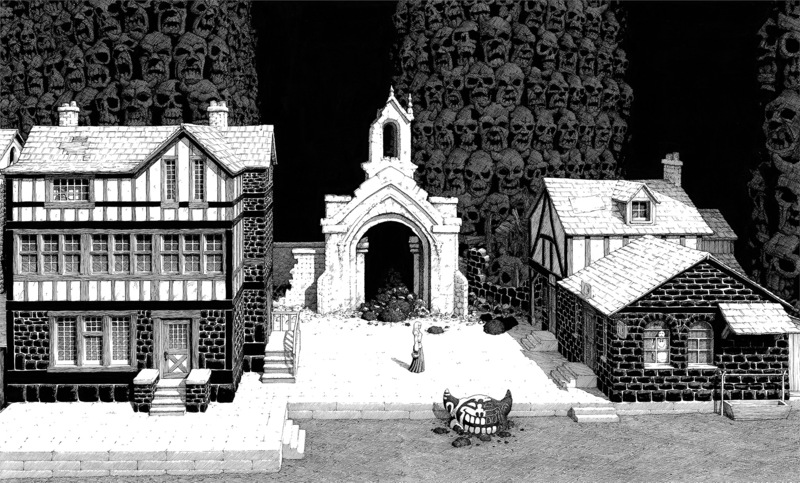 Gerhard was the background artist for the graphic novel "Cerebus" which ran for over 20 years reaching 300 issues. It is an icon of self-publishing throughout the genre. I’ve been invited to the San Fransisco Con, coming up real soon! Anyone in The Bay area, come on down to the show!!! I decided to do some of the smaller commissions before moving on to some larger projects. …don’t these people know how short boating season is around here? Not so bad once you put a wet-suit on. Waiting for that day in August when the water temp briefly rises above 20 C (68 F). I was commissioned draw the Regency… again. I didn’t want to just redraw it so I thought I could depict the BACK of the Regency and the gardens. This seemed like it could work. I’ll be making prints of this one soon, if anyone’s interested. …providing they let us into the country, that is. Thanks to everyone for a great show. Special thanks to Jim Lawson for being a such a fun neighbour. due to being delayed at the border (long story). Last month in Minneapolis I did a little Gerebus sketch and gave it to the folks at Hero Initiative. It’s just a silly little sketch but it’s for a very worthwhile cause that needs your generous support. …right in the center of the action! Come on out to the show if you can. It’s supposed to be a rainy weekend anyway… what else have you got to do? 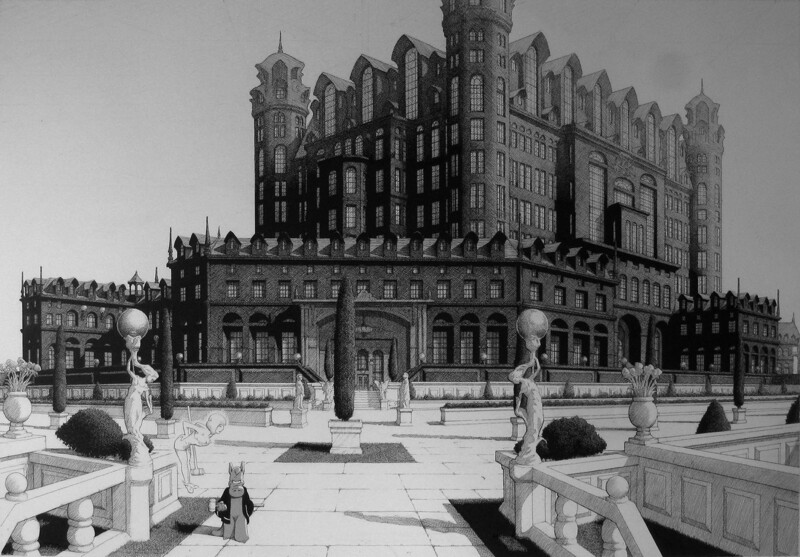 Another “Scenes From Cerebus” commissioned by Dean; he also brought us the High Society cover recreation of the Regency; the Church & State courtyard & cannons scene; and the Melmoth street. Soon to be available as a print in My Store.